Can you see how excited my model is? and the reverse side is fully lined. 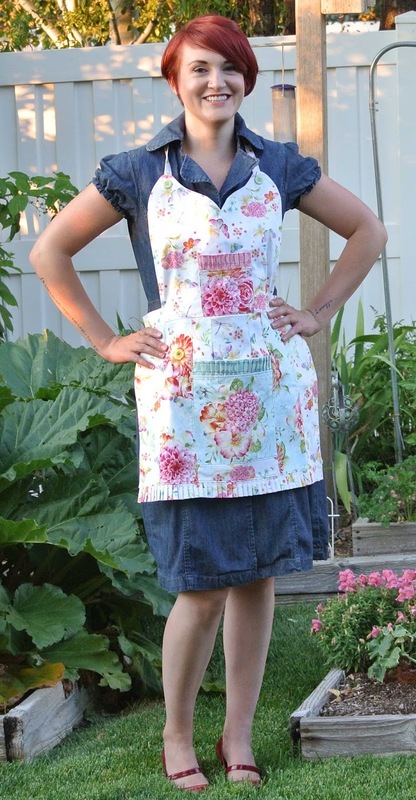 If you're looking for a polished apron, this pattern just might be the one. 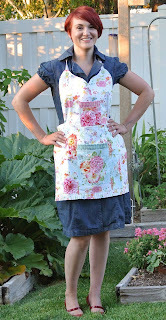 The pattern and completed apron are both available in my shop. I almost always wear one when I am cooking. I'm truly glad you stopped in today, friends. I love to hear from you, so please pause to say hello in the comment section.